The Plains, MT is in the foreground. 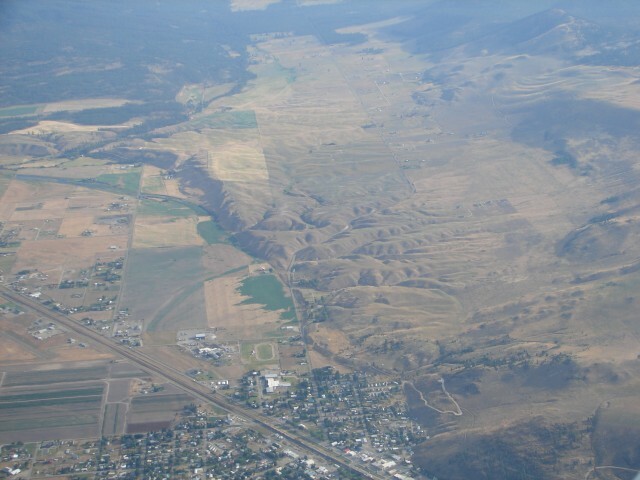 The Plains area offers some unusual Glacial Lake Missoula features. It can be included on at least a couple of driving or flying routes. If you are looking for good books about the features of Glacial Lake Missoula and the Floods area see our Books Link. If you are looking for a guide with training in geology, extensive experience as an "Edutainer" AND a person who has been to the locations in the books take a look at the sample tours. Geoscience Tours can take you there. Drop us an email or call (406) 546-1005.